There are so may ways to browse the internet free. So many tricks and configuration of different types that it would be almost impossible for you not to get a free internet connection. Below is the part1 post on how to browse the web free, no need to go and buy any ebook on free browsing because with the little knowledge below, you can get what you want. Those tricks below works on airtel, Docomo, etisalat, Bsnl, aircel, orange, safaricom, Du and virtually on all networks. Before we proceed, they are some terms you need to know. HOST: A host is a free website of a network provider or ISP (Internet Service Provider) in which you can access or browse on for free at zero balance. 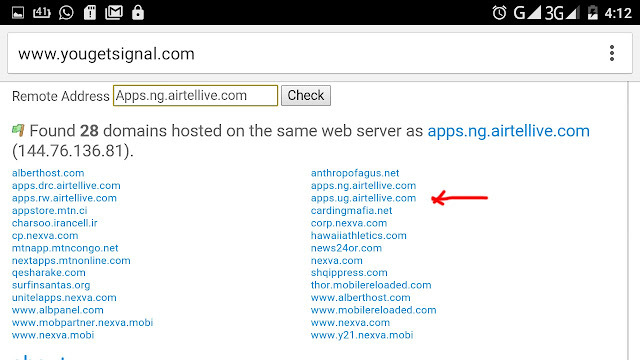 Some hosts of our ISP's are their home pages like Connect.mobilinkworld.com, 0.facebook.com, airtel.in/freezone etc and they open or can be browsed upon with zero data subscription. You can also check some links sent to you from ISP advertising some products, most of these links are free to access. PORTS: A port is a medium or portal in which information is sent to and fro between your computer and other networks. We need ports to browse the web and to also browse free, we need open ports. Lets take a house as an example. To get access into a house, we would need the doors and windows, and so when the owner of the house shut the doors and the windows, we can not access the house unless we look for another door or window that is open and so is a port. The doors and windows in this scenario are the ports, once our Internet Service Provider (ISP) closes them, we cant have access to free internet unless we look for other ports on our ISP that are open. TCP Ports: They are fast but when compared to UDP, they are a bit slow. Now TCP ports shouldn't be seen as ineffective because of its comparison with UDP ports. Now to get free internet on a TCP ports, we use this simple format: Host + open ports + working proxy = Free internet. I know by now some of you guys who are not familiar with these would be confused but don't worry because i would be dropping the full details on getting free internet soon. New open Job positions updated daily on MoboFree. Click here and check them out! PROXY: Now before i explain what a proxy is, you would also want to know what an IP is. This is an old trick and though my ISP have discovered and blocked it but its still worth a try on other ISP. This is one of the best part when it comes to free browsing because ic IP, youn would be able to browse unlimitedly and your data wont be capped. The best part of this trick is that you can use that same IP to browse free even for years because those ones are not easily blocked by our ISP. Trick 1; Go to hidemyass.com and get a working proxy with green bars, select those on port 80 or 8080 and configure configure your device with the ip and use your default browser to browse. Your free page must be your home page. Trick 2; This trick involves port scanning on the free web page (host) to make use of open ports to bypass our ISP firewall. This section is widely discussed below so scroll down to get the details. This method is the best of all and it works well if you if you follow my procedures right. This method involves apps that tunnels our connection to bypass our ISP firewall and gain free internet. Some of these tunneler apps needs open ports onyour internet connection and through it, they can bypass our ISP fireawll to gain free internet. Now lets look at the procedures on how to get open ports on our internet connection. Like i said before, the internet can be seen as a house while our ISP can be seen as the caretaker to the house and the doors and windows to the house can be seen as the ports. Now if our ISP(caretaker) closes the doors and windows(ports) to the house(internet), we wont be able to access the house(internet) unless we look for other doors or windows(ports) that are open to which our ISP doesn't know about. Now port scanners are used for just that, they are used to scan for open ports on our free web sites/ Hosts. 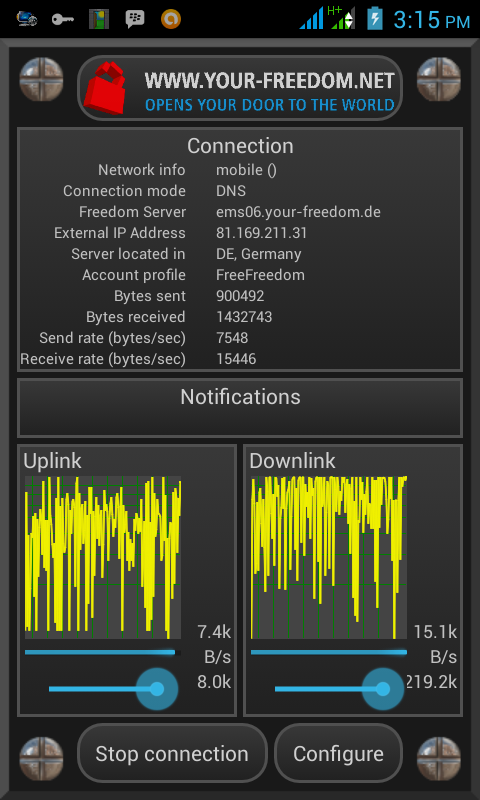 Android users: This port scanning app scans for open ports, ssl scan, ping on ipv4, tcp and lot more. You dont need any data subscription for it to work because it works on zero credit balance, but your data connection must be on. the maximum so as not to miss out on any udp or tcp ports. I remember some time ago this year, download 2015app.com was a was freepage on my network and so to bypass it, i scanned for open ports and i got this; 53, 80, 110, 143, 443, 465, 589, 993, 995, 2077 blah blah blah and believe me, those that knew really made a good job of it. Droid vpn: This app shouldn't sound new to your ears because i believe most of you know it when it comes to free browsing. Droid vpn can be used for several purposes such as bypassing internet filtering, opening blocked sites, compression of data on android device for those who are using data subscription. Those who wants to browse for free can also use the app to scan any open udp port and start surfing for free, but when it doesn't dictates any pen ports on your connection , that is when you have to configure it manually to browse free because they are so many ways to make it browse for free. Always remember to use this app with zero credit balance on your sim if you want to use it to browse free. The link to the full tutorial on how to use droid vpn to gain free internet is just below. 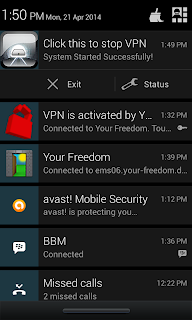 Click here to download Droid vpn . Click here to get the full tutorial on how to use Droid vpn to bypass ISP firewall to gain free internet! Tunnel Guru: Tunnel guru is an app that tunnels your connection through https, proxy, icmp, Dns so as to bypass our ISP restrictive firewall to gain free internet. It has a daily limit of 100mb for free users while premium users can browse with it unlimitedly and it powers all apps. Click here to download tunnel Guru. 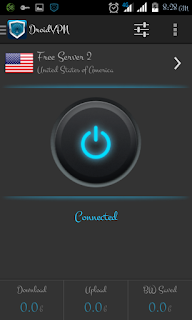 Your-Freedom app: I know you all must have been waiting impaitiently when i didnt mention your-freedom tunneling app. 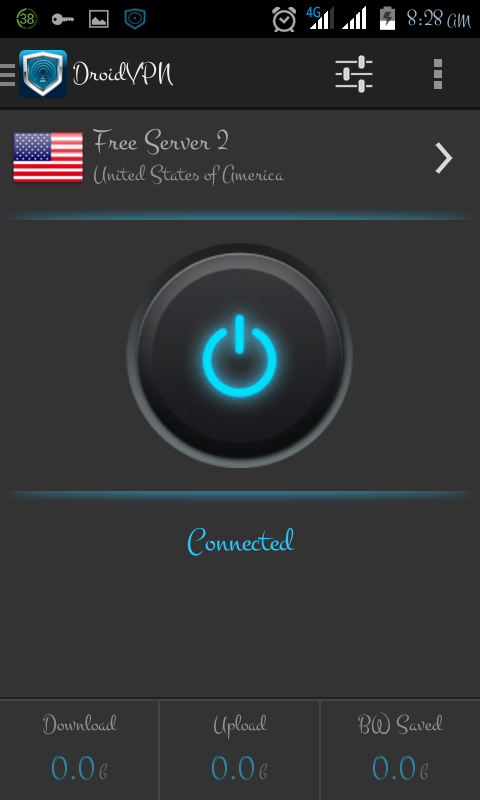 Your-freedom is an app that tunnels your connection to the internet and allow its users to browse free not minding the country that you come from. Thats just its purpose, freebrowsing. 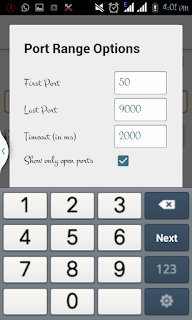 It is one of the most popular of these tunnelling apps. it also hides your location and does other things but its main aim is freebrowsing Free uses have a weekly browsing limit to their browsing while premuim users can browse unlimitedly. But free uses are not to worry because as your-freedom app tunnels and bypasses our ISP firewall, i also created a loop hole in their app and bypassed their restriction and as such, i get unrestricted internet connection like a premuim user! 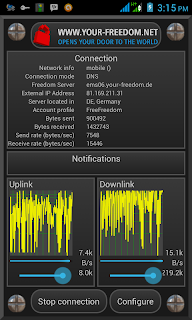 Click here to view on how to hack your-freedom for unlimited internet. I would be dropping the second part of this post and the second part would contain more apps and tutorials. Tnx bro. 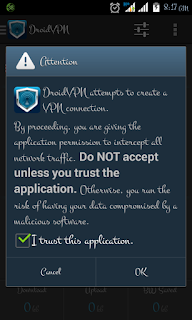 the droid vpn tutorial trick worked using those open ports as you said in the tutorial. i used the second method and a got free internet but am having difficulties in making my connection stable. pls help me out. 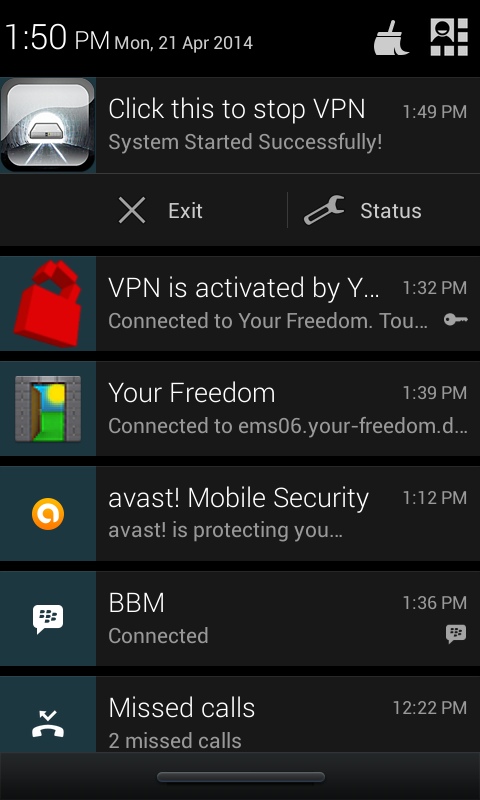 way another therefore we request you to use yourfreedom vpn cilent to get. Hey, the links to the download are not working. Any helps? If u could add me to whatsapp group I would appreciate it 08060561151.
my isp killed the apn proxy 10.40.10.252 after they found out it made free browsing possible, how can i find another ip (magic ip) to get free access again. coz the old one gives a forbidden error message. My question really is how can i scan my isp to get all the proxies that give free internet? unable to complete human verification to get download link for full tutorial on how to configure droidvpn for free Internet. I am from Kenya. Hello Mr hex the survey is not available in zambia. 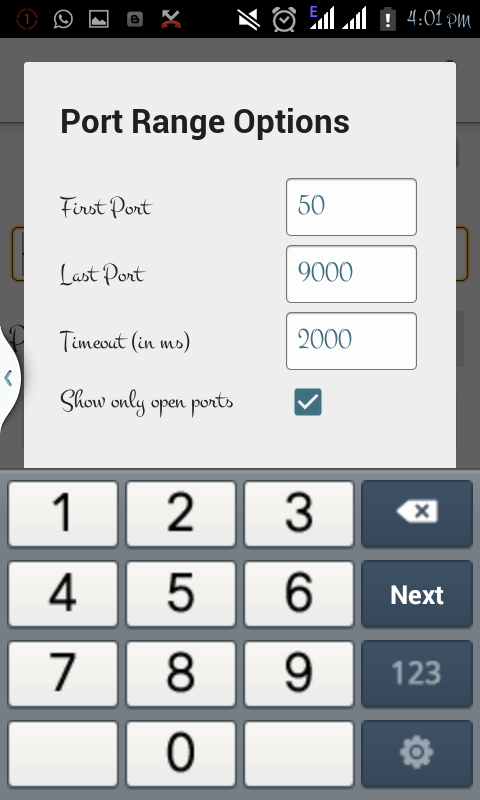 Can you please help me and email me the port scanning apps : Handya619@gmail.com... please help. You are the best. 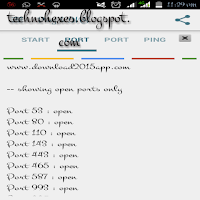 After scanning the open ports on a free site how do you configure it to browse on psiphon? Where and how do you put the values ?